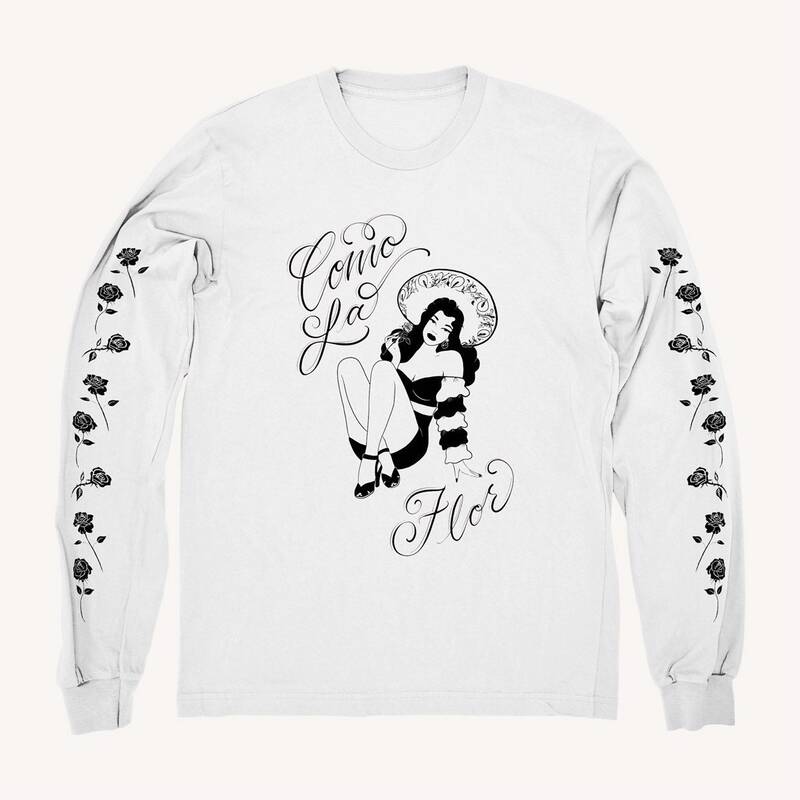 This bidi bidi bomb bomb long sleeve T-shirt is inspired by the late and great Selena. With a kiwi baby design on front and falling Rose details on the sleeves. 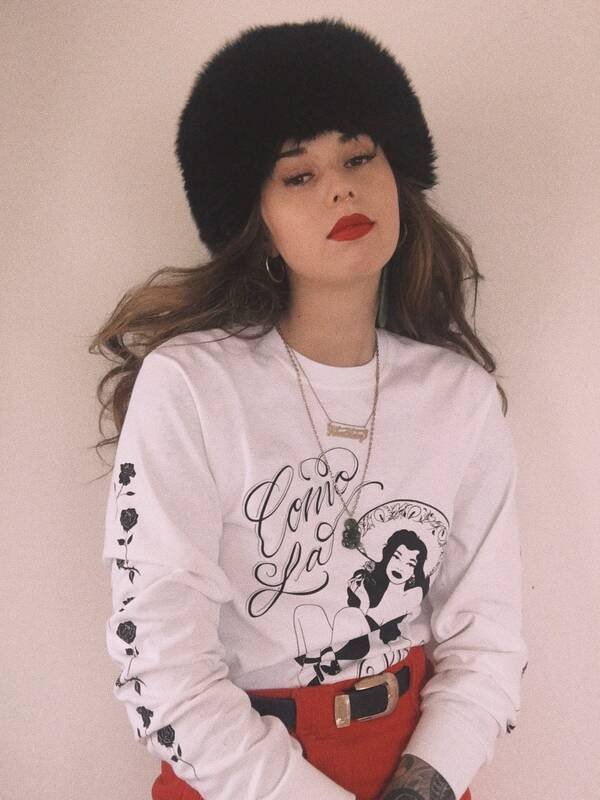 These are unisex sized shirts.